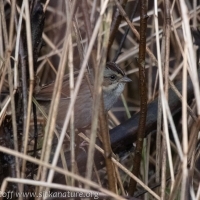 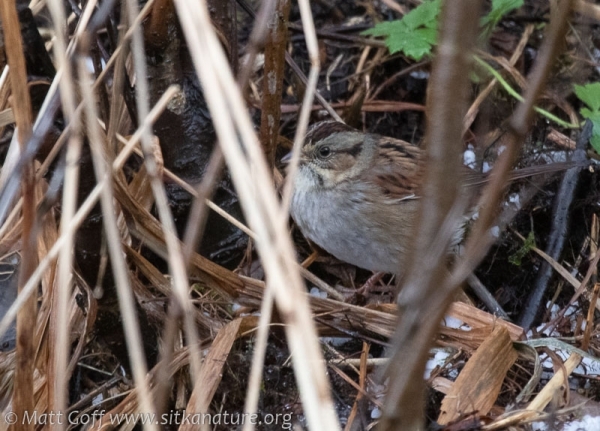 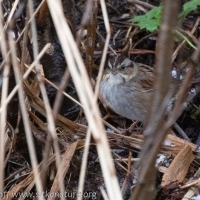 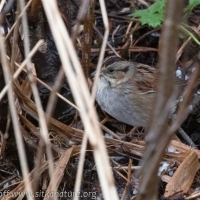 With brighter conditions today, I made an effort to get out and look for the Swamp Sparrow that had been found along Price Street during the Christmas Bird Count which Connor had also seen earlier in the day. 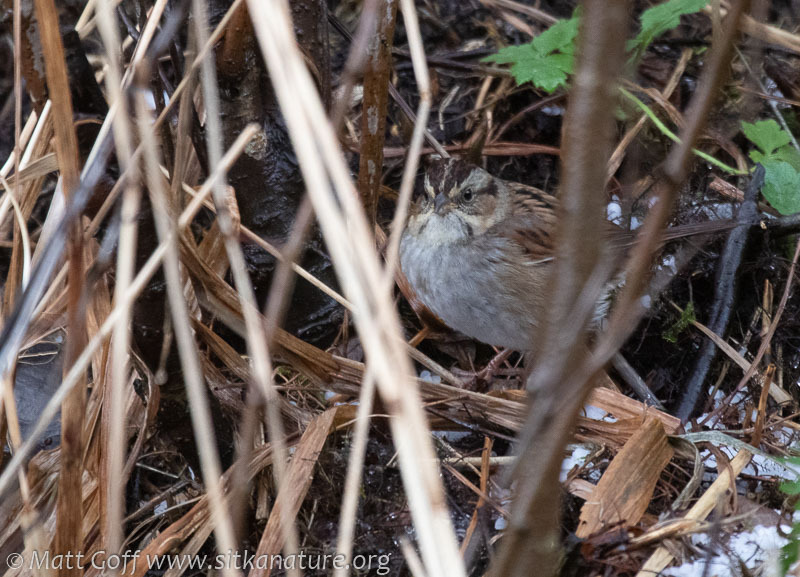 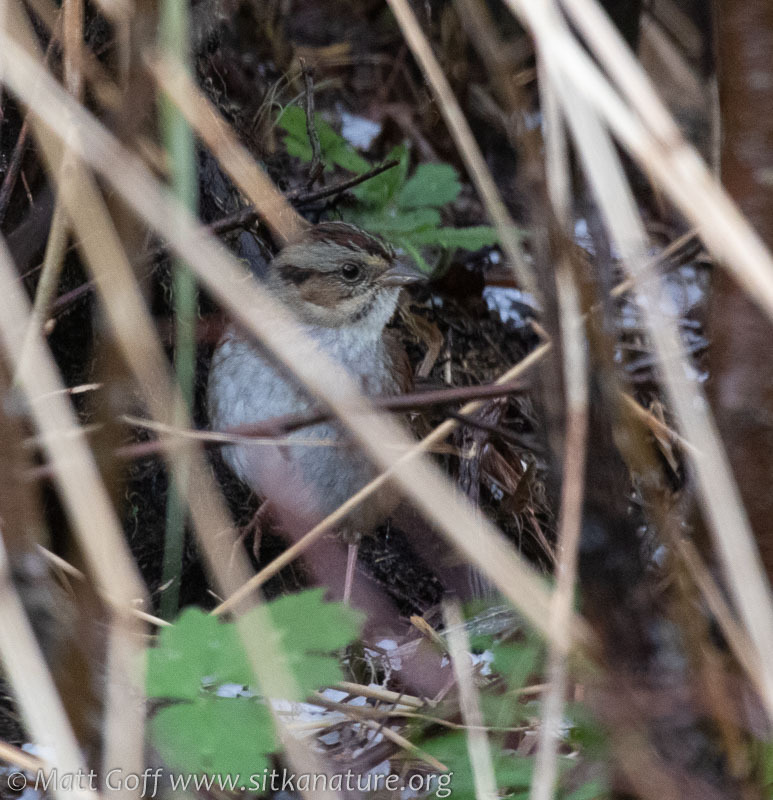 I brought Rowan along, and we didn’t have any trouble finding the sparrow foraging in some vegetation next to the ditch along the road. 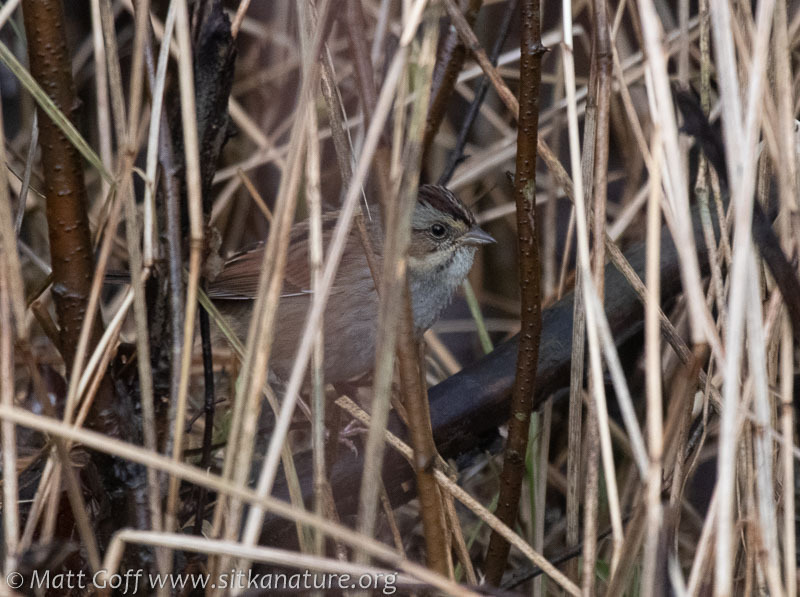 While we were there, a Yellow-rumped Warbler and at least a couple of Song Sparrows also made an appearance. I made a quick check along Eagle Way to see if the Palm Warbler seen during the count last Saturday might be around, but I did not find it.